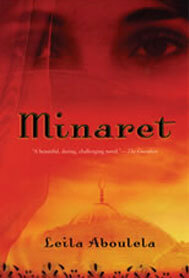 Minaret is a provocative, timely, and engaging novel about a young Muslim woman—once privileged and secular in her native land and now impoverished in London—gradually embracing her traditional faith. With her Muslim hijab and down-turned gaze, Najwa is invisible to most eyes, especially to the rich families whose houses she cleans in London. Twenty years ago, Najwa, then at university in Khartoum, would never have imagined that one day she would be a maid. An upper-class Westernized Sudanese, her dreams were to marry well and raise a family. But a coup forces the young woman and her family into political exile in London. Soon orphaned, and with her twin brother sent to jail on a drug charge, she finds solace and companionship within the Muslim community. Then Najwa meets Tamer, the intense, lonely younger brother of her employer. They find a common bond in faith and slowly, silently, begin to fall in love. Written with directness and force, Minaret is a lyric and insightful novel about Islam and an alluring glimpse into a culture Westerners are only just beginning to understand. Nothing I could think of! It is flawless. The character of Najwa was just mind-blowing. I don’t know how the author manage to achieve this. But my guess would be talent, what else? I love everything about this novel and was very disappointed when it ended…so soon! Why do I love Najwa? First of all, I was extremely surprised. This was my second time reading a book set in Sudan. Between my own opinion – mainly from the media – and the first book I read, I was not expecting the Sudan of the 80’s I encounter in Minaret. I confess. It was a very pleasant surprise to discover that, Najwa’s life in 1980’s Sudan was very close to my own life in Dakar a decade later (No! my father was not in politics) . Thanks. I loved this book, too, and all the others by her that I have found. Knowing little about Muslim women, I learned a lot. In addition to all the other good things about the book that you mention. Do read her others which are also excellent.